Congratulations to Jennifer AlLee, Niki Turner, and Gina Welborn for being spotlighted in USA Today Life! Thanksgiving marks the beginning of the busiest time of the year for me. I am one of those people who hates lists, but during the holidays I make them. My reading changes, too. It is not that I read less. I just read differently. I am more apt to read shorter works that I can fit neatly into the hours I carve out for myself here and there. Historical romance writers must know this, because they keep providing me with lots of novellas themed to Christmas celebrations. It is fun to read about the holiday spirit as these characters interact against a historical Christmas backdrop. A few hours with one of these novellas and I get a double fix — historical romance, and a cozy holiday world. Here is a list of some of the historical Christmas anthologies available new this season. Give one a try! 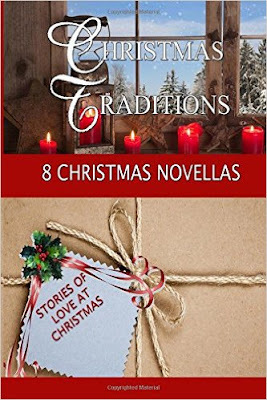 Scroll down the list to read about CHRISTMAS TRADITIONS, the Amazon bestselling collection which features novellas from Jennifer, Niki, and Gina. EIGHT CBA and Amazon Bestselling and Award-Winning Authors present heartwarming novellas of Christmases gone by, where the true meaning of the season warms your heart and love flows as fast as apple cider. Includes a brand new release, “Eleven Pipers Piping,” and also Selah Award finalist, “The Fruitcake Challenge.” Grab your favorite drink, no matter the temperature outside, curl up in a cozy chair and lose yourself in holiday romance. CHRISTMAS TRADITIONS is available on Amazon. Yay! Congrats, Ladies. Nice work.